Lip balms are an inevitable product that can be used by men and women. Not just for the lip moisturization but for the darkness and pigmentation cure too, you require a lip balm or a lip product. To heal the dry and cracked lip in winters, application of a lip balm is needed. In Indian market, there is several lip balms for men too. Men also struggle with the flaky and dry lips. Guys need moisturization for their lips too. 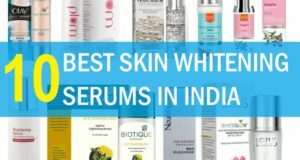 If you are thinking, which is the lip balm that Indian men can try? Then there are several lip balms but you just can not use anything. There are tinted lip balms too and being a guy you surely do not need tint on your lips. 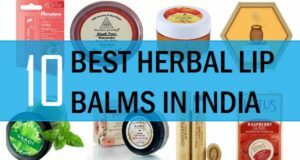 Here, we have compiled this list of best lip balms in India for men. 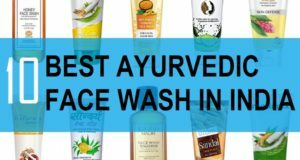 The below mentioned lip products for men will definitely help you treat those painful dry chapped lips. They are easily available except for few. 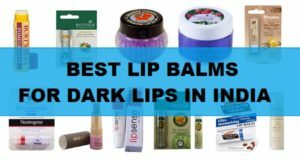 The list also includes the lip balms that can treat the darkness of the lips like for men who smoke or have got dark lips due to UV rays damage. 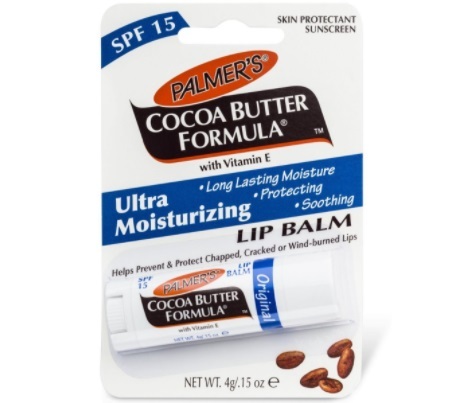 Palmer’s Cocoa Butter Formula Lip Balm is a very skin friendly lip balm that is with the power of SPF 15. Lip balms with SPF 15 are ideal for the day time and who say’s that men don’t need lip balms. Men too need good lip balms to protect their lips from dryness and the sun induced damage. Palmer’s lip balm has a cocoa butter rich formula. Cocoa butter is known for its hydrating and moisturizing texture and formula. When used regularly this cocoa butter rich lip cream can aid in lip lightening and dryness removal. Many men face issues with the darkening of the lips and a lip balm rich in the organic cocoa butter can aid in the darkness removal. 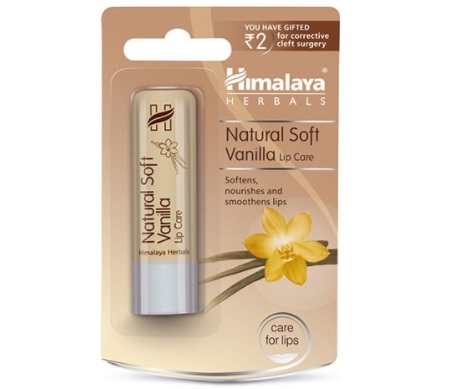 Himalaya Natural Soft Lip Care in Vanilla is a lip balm that is made with the vanilla oil essence. This is highly moisturizing and is able to give you those beautiful nourished lips. Men can face dryness when they go out in winters or ride bike in this cold winter season. So, use of a good moisturizing men’s lip balm is MUST. Himalaya lip balm heals the dryness and makes the lips soft. You can try this at night or at the day time. The chapstick has 100 percent natural color, but vanilla flavor do not have any significant color that can make your lips look pinkish so you do not have to worry about that. Natio is an Australian company that makes skin care and hair care products for men and women. 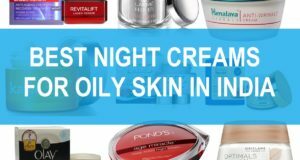 Natio has a good skin care line for men too. 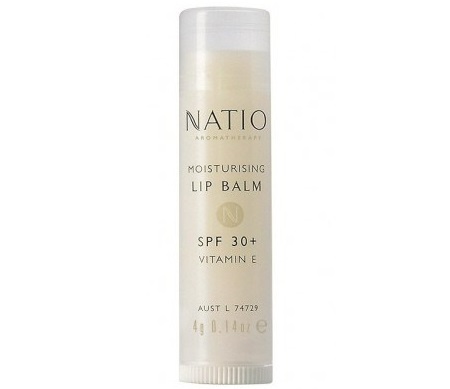 Natio Aromatherapy Moisturizing Lip Balm is a blend of the pure aromatic and essential oils that help in the proper moisturization of the dry lips. When not taken good care, the dry lips can get peeled and also start to bleed. This has high SPF 30 which is suitable for the day time. Men can worry freely go out after they have used a lip product like this. It deeply conditions the dry lips and lips appear smoother. Ustraa lip balm is especially made for the men only. The lip balm for men is in the dark rum Chocolate Flavour. It has almond oil rich formula that is moisturizing enough to protect and care for your dry lips. So, you can smile and feel free. When the lips are dry then it not only looks bad but is also painful. The balm has natural beeswax which helps and care for the dry chapped lips. Moreover, the waxy balm coats the lips to help prevent the moisture loss in winters. 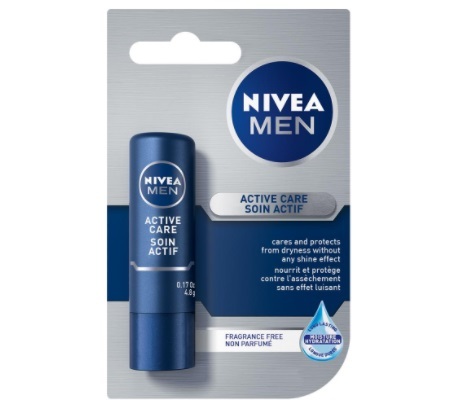 Nivea Men active care lip balm has the goodness of skin healing and dryness cure emollients. It heals and repairs the sun damage and dryness damage. It has SPF 15 which is considered suitable for everyday use. The price is very affordable and in budget as the Nivea men lip balm costs only 130 rupees. You can apply when needed like going out of the home when the weather is harsh or use at night to heal the cracked and flaky lips. 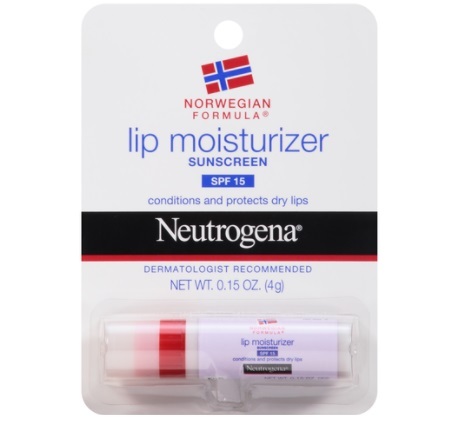 Neutrogena Norwegian Formula Lip Moisturizer has been made with the SPF 15. Sun causes lips to get darker hence, using a lip balm that has the sun protection is highly recommended even by the dermatologists. This Neutrogena soothing lip balm helps condition and protect the dry chapped lips and has no waxy feel. This moisture loaded balm can be used by both men and women. SPF in it protects the lips from the harmful sun rays. Besides being rich in moisturizing properties, it also has no artificial colorant or fragrance. Lips stay smooth, soft, and healthy-looking in all weather. There’s no color, fragrance, or unnecessary additives. 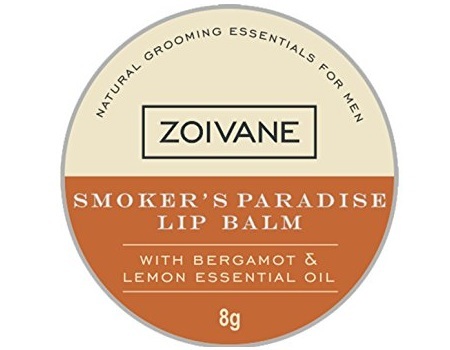 Zoivane Men’s Natural Smoker’s Paradise Lip Balm is included in this list of best lip balms for men because men who smoke can face darkening of the lips. It not only moisturizes the lips but its regular use reduces the darkness. It can be applied before smoking to get the maximum benefits. People who smoke regularly get dark lips due to smoking. At times, the lips also get dark due to sun damage so a lip balm that can lighten can help. 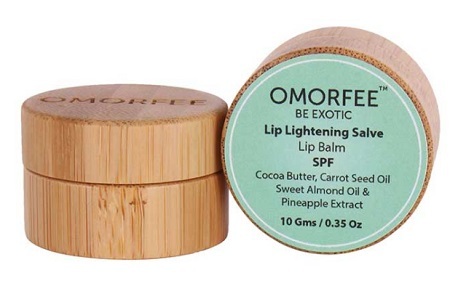 Omorfee Lip Lightening Salve Lip Balm has the extracts that effectively lighten those dark lips. If you have in mind about the best lip lightening balm then it can be tried, it is expensive but if you do not hesitate to try then why not! 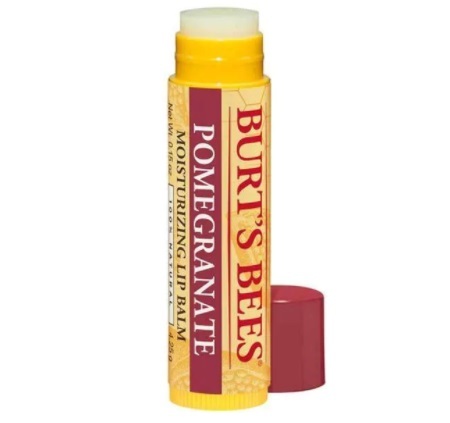 Burt’s Bees Replenishing Lip Balm is enriched with the real beeswax that is highly nourishing. 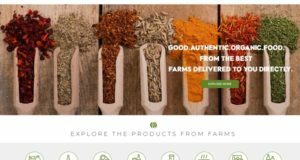 The product is imported from US and is slightly expensive. You may not get this offline except Sephora but certainly, you can buy from online shopping sites. This is rich in essential oils that heal your dry chapped lips. Being colorless, this is also great for men who have very dry lips. 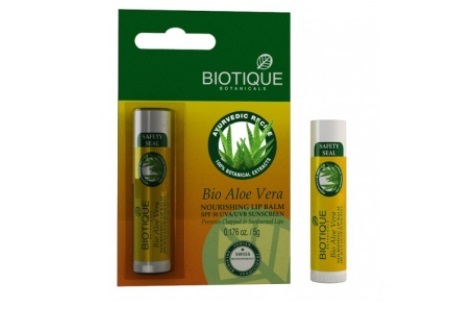 Biotique Bio Aloe Vera Nourishing Lip Balm corrects the dry chapped lips. Enriched with SPF 30, it helps to give protection against the UV damage. It is not as waxy as some other lip balms but creates a fine coat on the lips that cures the cracks and flakiness. 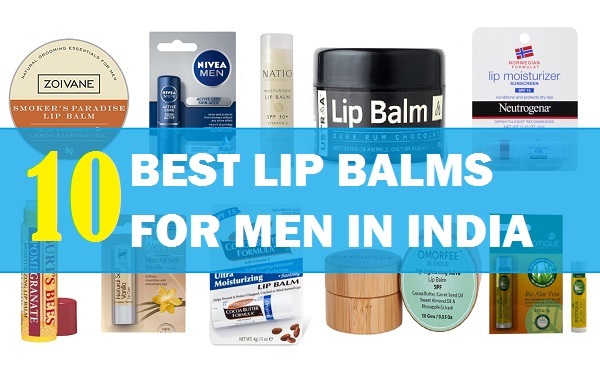 These were the best lip balms for men in India so, which is the one you have tried? Do share! Make sure that you also apply the lip balms at night which effectively heal your dry and bleeding lips effectively and faster.